Auction sites such as Ebay are popular sites where collectors can find missing items for their collections. Advertisers have often an undue optimism about items they wish to sell. 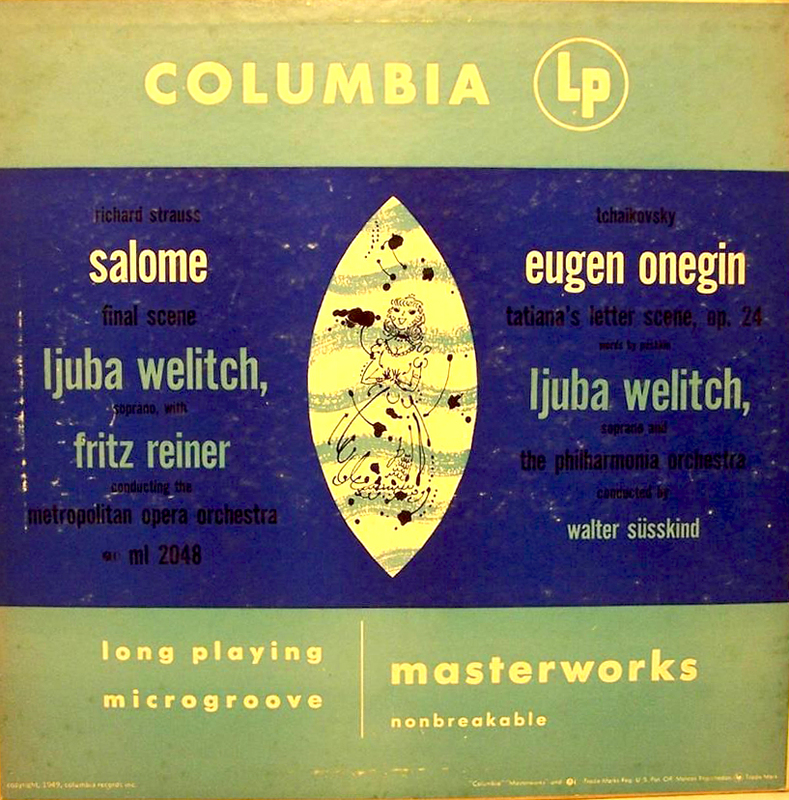 Popular areas for collectors of record cover art include many of today’s more famous artists. Perhaps the one single record cover artist commanding the highest prices is Andy Warhol 1928-1987) who, in his lifetime designed or illustrated about seventy individual covers. Many bootlegs have used his art and records and CDs are still appearing with his art – the latest being The Rolling Stones bootleg box “El Mocambo 1977 +” which appeared in late 2013. 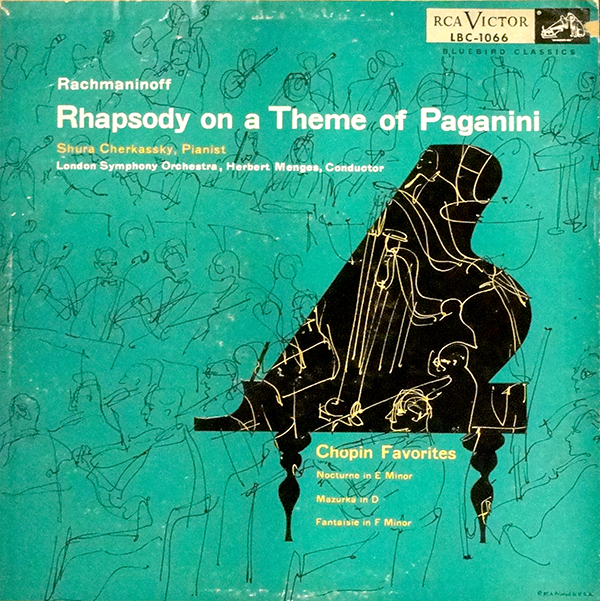 Another cover that has recently started to appear on Ebay claiming Andy Warhol design is the RCA Victor Bluebird Classics label release of Rachmaninoff’s “Rhapsody on a Theme of Paganini”. 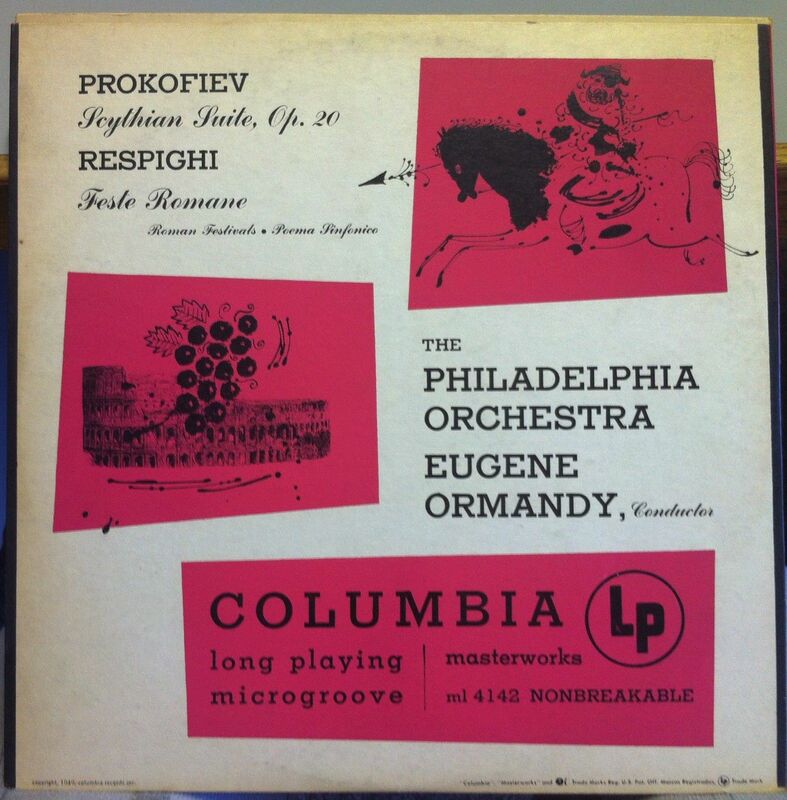 At least three covers for the Bluebird Classics record label are ascribed to Warhol, but this does not appear to be by his hand. So what new covers have I come across that are by my favourite artists? First, I have been collecting record covers designed by Klaus Voormann and have managed to collect almost all of them save two (vols 12 & 18) of the 20 volumes of the “Pioneers of Jazz” EPs released in Germany in 1960 on the Coral label. These covers were the second commercial record cover commission Voormann received almost as soon as he left art school in Hamburg. I recently found Vols 12 and 18 on Ebay for €10 and €17 respectively. So now my collection is complete. 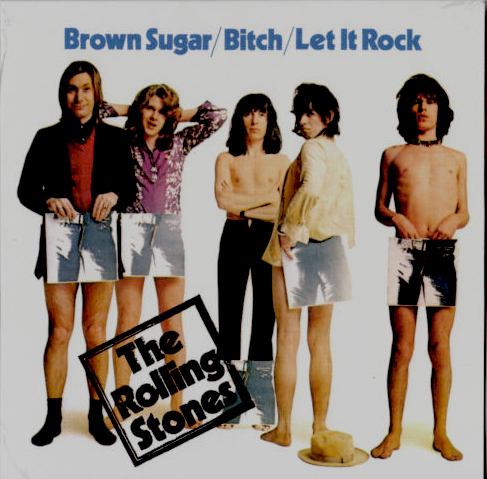 Second, there is the numbered version of The Rolling Stones’ “Brown Sugar” 7″ released for Record Store Day 2011. There were several on Ebay, the most expensive being advertised by seller (the seller I love to hate) Majestic Music & Art for $50+ shipping. I bought a sealed copy (No. 7389) for £12.99! This single’s front cover image of all five Stones standing with slicks of the Sticky Fingers LP covering various parts of each’s anatomy. The identity of the photographer, however, seems impossible to identify. The rear cover shows the same jeans rear as seen on the Sticky FIngers LP cover. Warhol expert Guy Minnebach points out that the front cover photo on the UK and US singles shows Mick Jagger standing to the right, while the German release has the photo reversed, with Jagger on the left. Guy also informed me that Brown Sugar was released in Mexico as a single and EP with the Sticky Fingers cover both on front and rear. Excellent Post, I had no idea Andy Warhol did that many covers. On another note I am still looking for who ever shot that photo. The photographer who did the shoot with the Rolling Stones that was used for the ‘Brown Sugar’ single cover was David Montgomery. This shoot was used for a lot of different publicity posters and magazine ads for the Sticky Fingers album. When you google Montgomer’s name, you’ll find various different pictures from the shoot. The Stones did not stand there as a band, all portraits were taken individually. According to Montgommeryh Mick Jagger was in a very difficult mood, that day. Thanks a lot, Guy! I have been trying to find out who the photographer was. I should have known that you knew! You’re welcome Richard. Sorry for the typos, Montgomery is the correct spelling. Another great post Richard, always nice to give people the heads up on these “fake” covers. And bid congratulations on the nice Brown Sugar find!